Forever curious. Forever learning. Are you? There are a growing number of employers, beyond just start-ups, who are now recruiting for curiosity and thirst for knowledge, not just for qualifications. Universities, such as UCL (Arts and Science) are increasingly offering broader-based degrees which actively encourage interdisciplinary curiosity and learning. This article says that, according to a study from Gallup International, some of the best entrepreneurs are curious and creative thinkers, which the study says indicates they can “creatively look beyond the present and imagine possible futures.” They aren’t the type of people who sit around and wait to be told what to do — instead they drive the change. My grandfather died suddenly when my own father was 16 years old. Just as suddenly, as an only child, my dad had to leave the grammar school he was then attending to run the family farm; 130 acres and 40 cows. He knew the farm well of course, having spent all the hours outside of school watching and learning from his own father. Running it alone at 16 was however a very different proposition altogether. My dad turned 80 recently. The farm has changed; it is now arable and around 800 acres. Although my brother now runs the farm, my dad still works on it every day for what many people would see as a full-time job. He however, views 40 hours per week as part time! Last year was his 64th harvest since his father died. 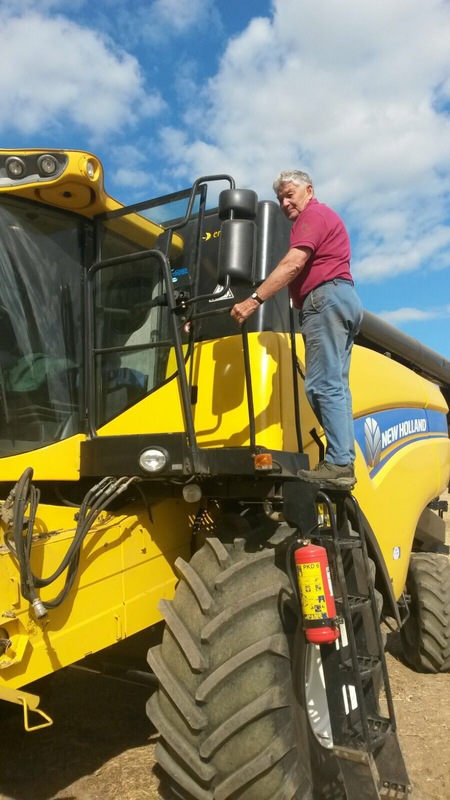 He still does all the combining, often finishing work during harvest in the late hours if it is dry enough. There are two traits my dad has always shown in abundance. Curiosity and resilience. Curiosity helped him to recognise that not only is tomorrow different from today, change is a fact of life and to drive change he knew he had a lot to learn. With the death of his father, he was living with sudden change, sorrow, upheaval but then eventually renewal. All these emotions were in play, but curiosity ended up being his strongest driver of all. He wanted to participate in that play; to run and grow the farm to the best of his ability. It was always from the view point of learning ‘what if?’ and ‘I won’t know unless I try’. From that moment on, he watched, he questioned, he tried, he created, he failed, he picked himself back up and he kept learning. His curiosity with the ‘what if’ mindset led him to sell all the animals in the late 70’s and just concentrate on crops. He was early in this change which left many of the lagging farmers selling milk for less than it cost them to produce it. My dad has always kept track of what is happening around the world; what is being grown, what is in short supply and this knowledge has influenced his decision on the crops he might grow and on forward selling. At 80, he still says he doesn’t know anything; that there is still so much to learn. And his energy to keep learning continues to grow along with the crops every year. By constantly questioning and being curious my dad grew a very successful business, along what at times was a bumpy road reliant on a lot of luck (the weather). These experiences, both good and bad, equipped him with the tools to lead a resilient life. As the saying goes “Tough times don’t last, tough people do”. The one thing we have total control over is our personal response to events. The good news is that you do not need to go through an experience like my father’s, as curiosity, like resilience itself, can be cultivated (pardon the pun) and learned. The one thing we have total control over is our personal response to events. We have the capacity to change that response at any time we want. Your response to events will affect the outcome you achieve. Curiosity isn’t about solving problems. It’s about exploration and expansion. Capturing knowledge in whatever form that takes; every person you meet, activity you take part in, question you ask, experience you have or article you read. It can start and lead anywhere. There is no right nor wrong. Forever curious. Forever learning. Like my Dad.